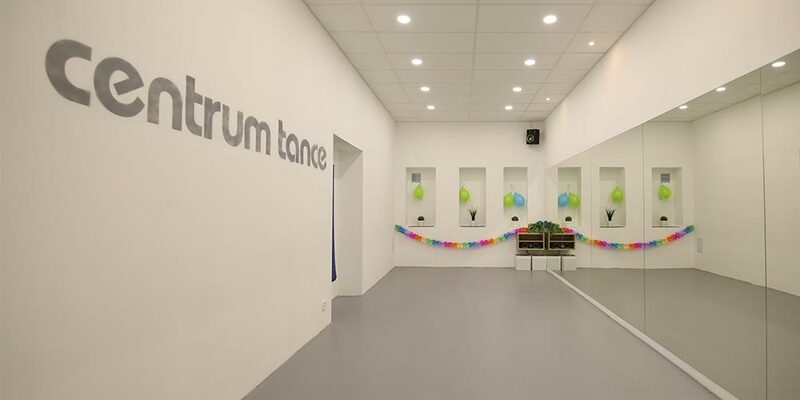 On this page, you will find the basic information about our dance and exercise lessons, such as which classes are recommended for those who don’t speak Czech, a few words about us, registration, and finally payment instructions. We have translated the most pertinent information to help you navigate our website and your eventual visit to us! We offer a wide variety of lessons. Almost all are held in Czech. You are welcome to any of them. Some of them are easy to follow, without any need for further instructions, such as Zumba, fit dance, and yoga (yoga in the case, where you are not a complete beginner ;)). When attending other classes, basic Czech would be an advantage but is still not absolutely necessary. Most of our teachers speak English, so if you ask them, they will happily give you instructions in English. However, they are not able to translate everything. All our studios are easily accessible by public transport. We are proud to have large but cozy studios with friendly staff ready to help you. There are toilets, showers and locker rooms at all of the studios. 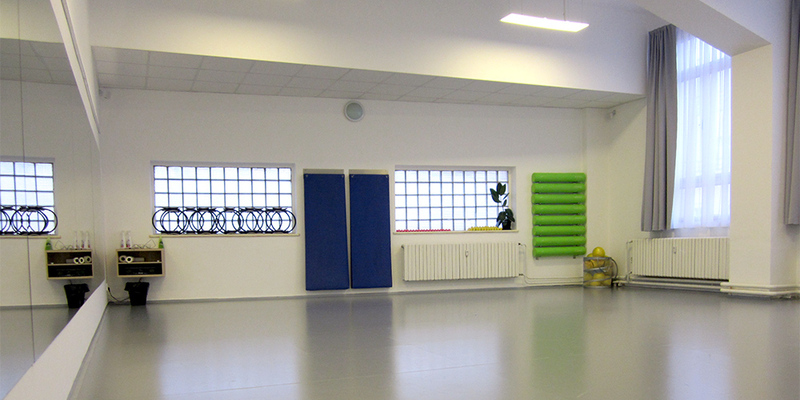 There are also props free to use during the lessons (such as over balls, yoga mats, TRX, rollers, bosu, dance props...). Every client must have a client account. To create one, follow the links in the upper right corner of our website "Přihlásit" (Sign in) and "Registrace nového klienta" (New account). Please do not forget to enter not only your email but your phone number as well. In case anything happens, we need to let you know immediately. Then register for any lesson you wish! Our full Terms and Conditions are currently available only in Czech: "Podmínky účasti." There are cancellation conditions and other provisions that we will highlight for you though, here. We ask you to pay attention to your current health condition (in case of any doubts, please consult your doctor), to not smoke on our premises, wear dance shoes only in the studios, and ones that do not damage the floor, as well as other conditions such as not coming under the influence of drugs, etc. We also ask you to come to your lesson on time. Please be aware that we can refuse to let you in the lesson if you came late. When skipping the warm-up, you can do damage to your muscles and your body. We recommend signing up online, by email or by phone. You can also sign up on the spot, although we do not recommend as we cannot guarantee space for you. It's necessary to pay in advance. You’ll obtain payment instructions by email after signing up for the lesson. You can pay online through a payment gateway or by bank transfer. If you risk signing up on the spot without previous registration and payment, you can pay in cash or by credit card. We accept Multisport cards. During sign up, check the button in the payment instructions "na recepci do 3 pracovních dnů" (on spot within 3 work days). Then, present your card and ID to the receptionist. You can use your Multisport card ONLY for open classes. We are not allowed to accept the card for any other lessons. The price of each lesson or course is available on our website next to its listing. We accept MultiSport card for open classes in the length of 60 minutes (only). It is not possible to use it for any other kind of lessons. When signing, choose the MultiSport option. Then you show your card at the reception before your lesson. We kindly ask you to cancel your lesson reservation in advance in case you can´t attend it. We are always here to help you! If you need more detailed information, please contact us by phone, email or by paying us a visit. If you choose to stop into our reception, we recommend visiting in the morning or early afternoon. If you come in the late afternoon or evening, our receptionists may by quite busy with taking care of customers coming to their lessons. We love movement, in all its forms. We believe that everyone can benefit from dance or exercise. It strengthens health, brings joy, and creates happiness. Back in 1997 an enterprising man (yes, a man) and his girlfriend founded our company. 20 years later, the same man and many more people continue in business with the same enthusiasm and same goal: make our dear clients healthy and happy. To do that, we need a great staff of professional and patient lecturers and receptionists. We believe we have just that. There are dance world champions on our team as well as lecturers with many national and world medals, but more importantly, we have kind people with big hearts who are excited about every person that they can show the mystery of either dance, yoga, fitness, or any other exercise too. "There is a wide variety of different lessons in Centrum Tance, I am 100% satisfied and recommend it to everyone. I have been visiting this studio for over a half year and it´s the best studio I have ever been in"
"Great teachers. I visit Centrum Tance regularly and I just love it there :-)"
"Beautiful environment, kind staff, nice teachers"